Mathematics teachers hoping to further their careers through graduate education can face a dilemma. Graduate degrees in mathematics delve deep into mathematical content, but offer little help in how to teach middle school and high school math. Degrees in educational administration, however, can help with classroom principles, but can be light on mathematical content. The University of Utah offers a third choice, combining math content and pedagogical skills in the Mathematics Teaching Program. 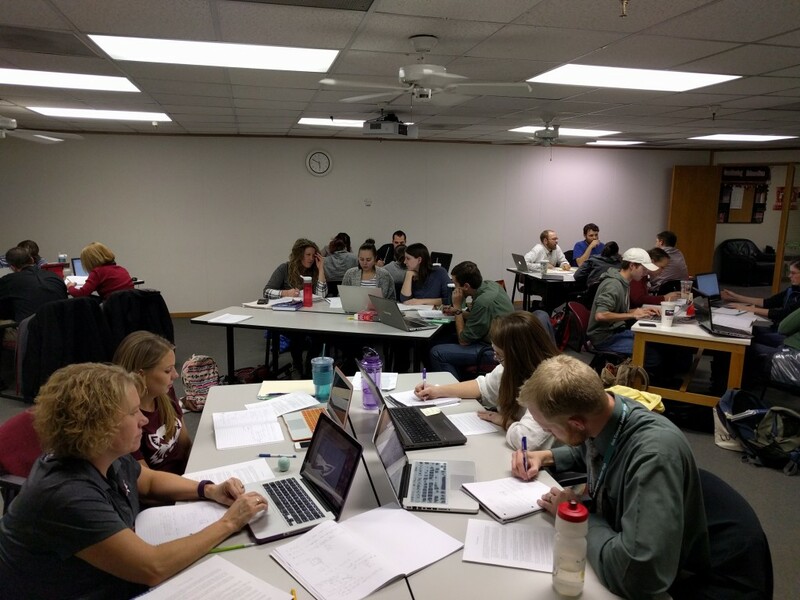 The Mathematics Teaching Program helps Utah teachers develop expertise and experience in teaching and learning mathematics and become leaders in their field. Teachers learn mathematical content, as well as ways to identify and address students’ misconceptions. Now in its seventh year, the program seeks to expand to reach more math teachers throughout Utah. 2015 cohort working on understanding conic sections’ different definitions and interpretations. Currently, cohorts of 20 students comprise the two-year program, offered in evenings and summers to accommodate teachers’ schedules. Classes during the school year are held at central locations, such as at the U’s Murray campus, and participants come to main campus for summer courses. Participants include teachers from districts in the Salt Lake Valley and surrounding areas, with some coming from as far away as Santaquin, Utah, nearly 70 miles from Salt Lake City. Alibegovic says that teachers from districts in southern Utah have expressed interest as well. The coursework goes far beyond reviews of mathematical concepts that middle school and high school students are expected to learn. Alibegovic says that the program is meant to develop “mathematical knowledge for teaching.” This deep mathematical knowledge, she says, allows teachers to focus on students’ learning, assess their conceptions and use them productively as resources. The courses involve robust participation. “To be successful, we need significant participation from students,” says Rossi, who helps develop curriculum for high school and middle school. “They need to be able to think on their feet,” he says. Participants share their own classroom experiences, he says, as they learn how to structure a course and offer helpful feedback. Their final project requires participants to research a mathematical topic and present sample teaching approaches. The value of mathematics teaching training came into focus when Utah adopted Common Core educational standards. Utah school districts needed to quickly develop new curricula to address the Common Core standards. Mathematics teaching graduates played a role in developing math curricula, Alibegovic and Rossi say, having developed the necessary experience and sophistication.